The Professional Flat Top Griddle 16 inch x 14 inch is the newest steel griddle to join our line of flat top griddles. Designed to fit 16 inch Cooking System stoves, this flat top steel griddle is the perfect option for when you're using your Professional Barbecue grill box (BB90L) but also want to use a professional steel griddle at the same time. Up until now you'd have to remove your grill box to use a SG90 or SG100 Professional Griddle. Now you can keep your grill box over the left two burners and place the SG14 over the right most burner. They're a match made in heaven. Grill and fry all at the same time. The Camp Chef Rocking Pizza Cutter cleanly cuts thinner artisan style pizzas and deepdish pizzas into perfect sections with ease. The 14 inch stainlesssteel blade is curved to provide superior cutting capabilities which cuts straighter and more thorough than a traditional pizza cutting wheel. With one quick rocking motion you be able to efficiently cut through toppings, cheese and dough leaving crisp edges. The Rocking Pizza Cutter is easy to clean and simple to use. Maverick Digital Remote Thermometer with 2-High Heat Probes allows you to expertly roast, grill or smoke meat with confidence. Probes monitor both grill temperature and meat temperature. Wireless receiver provides freedom to monitor the cooking progress from up to 300 ft. away. Select target internal temperature or degree of doneness, using preprogramed settings, or customize as desired. Receiver provides visual and audible cues to alert when temperature of grill deviates from programmed range. Accurate temperature readings indicate when meat is cooked to your preference. Great for barbecue grills, smokers or ovens. 41-inch Digital Electric Smoker Insulation Blanket With the Masterbuilt Digital Electric Smoker Insulation Blanket, you can enjoy your favorite smoked foods all winter long. 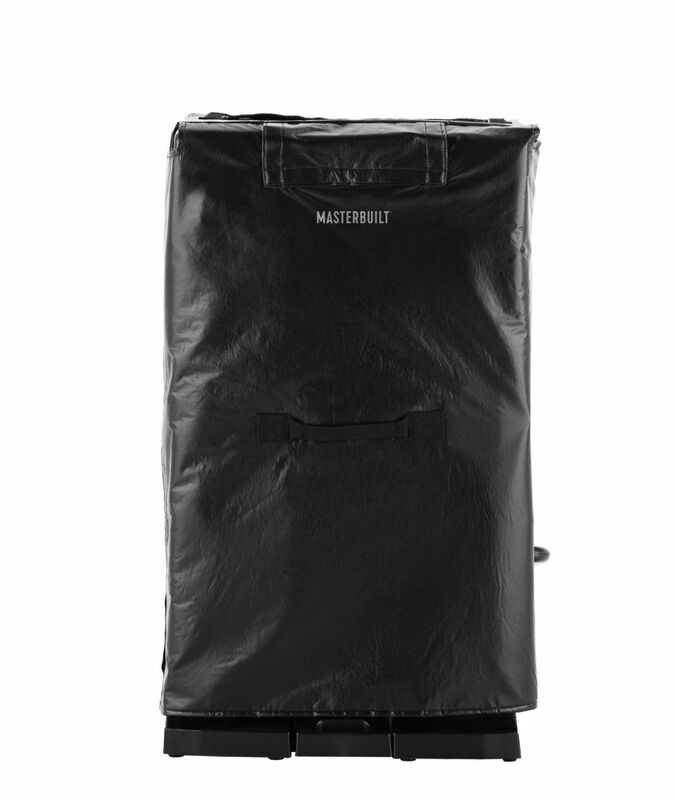 The insulation blanket wraps around your smoker to keep the heat in and maintain consistent temperature, even in freezing weather. Master the art of smoking with Masterbuilt. 41-inch Digital Electric Smoker Insulation Blanket is rated 4.3 out of 5 by 6. Rated 5 out of 5 by Sammie from Very easy.... Very easy. Rated 5 out of 5 by Gonzo1954 from The blanket was a little tight, but it worked great.... The blanket was a little tight, but it worked great. Rated 5 out of 5 by Happy4 from Was a Christmas gift for my husband. He LUVS it!!... Was a Christmas gift for my husband. He LUVS it!! Thought it was the best thing. Has already used it a few times in 30 degree+ weather. Rated 5 out of 5 by BobTheBuilder from Perfect!... Perfect! Rated 1 out of 5 by Jim from It stopped working after just over a year, so no... It stopped working after just over a year, so no warranty, unfortunately. This was not from over-use, so we were very disappointed.